When it comes to high-risk vehicle events, research shows that almost 20% of pursuits are initiated in response to suspected auto thefts. Officers face challenging decisions regarding whether or not to pursue based upon policy, training and public safety factors. 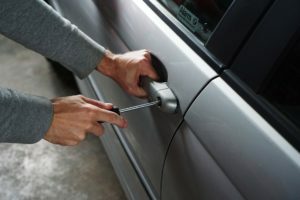 The International Association of Chiefs of Police (IACP) recently released its Vehicle Crimes Auto Theft Educational Awareness Report, which details the broad scope of vehicle-related crimes and the relationship between vehicle crime and subsequent violent crime. The IACP report outlines how agencies can demonstrate the seriousness of auto theft and its ripple effects in order to reignite support for investigative units in an age of dwindling funding and decreased public concern. The report also lists steps police agencies need to take to collect data about vehicle crimes to better illustrate the severity and complexity of the issue. Chris McDonold: Realizing that auto theft isn’t just joyriding. Even today, a lot of police officers and people in general think that, and we have to change those beliefs. This report shows we are not just talking about auto theft, but vehicle crimes. If you rob a bank, you’re going to have every police officer out there trying to catch you, but if you commit a vehicle finance fraud where you steal someone’s identity, go to a dealership, buy high-end cars, get credit for it, then ship them in a container and send them overseas, how many police officers are going to be looking for you for that? McDonold: The study in the report found that 97 percent of car thieves also face other serious charges. It’s a gateway crime – it all starts with a stolen car. The first step of violent crime and high-impact crime begins with stolen vehicles. You need stolen vehicles for crimes like shootings, robberies, homicides, drug dealing and insurance fraud. McDonold: It gives you a broader picture. Agencies traditionally go on the UCR (Uniform Crime Reporting) data, but that’s a hierarchy of crimes. So if an individual suspect breaks into your house, steals your car keys and takes your car, that is listed as a burglary, not an auto theft, so it doesn’t give you the true picture. That is going to change when the FBI switches over to NIBRS, which is the National Incident Based Reporting System. That will capture every crime. That’s supposed to be coming into play in 2021. What NIBRS does is, if you respond to a call – a house was broken into, you have a homicide and they stole a car – it is going to go down as a homicide, burglary and auto theft. It will capture all those incidents. This will give law enforcement a better picture of what is happening with vehicle crimes. Looking at this report, traditionally – especially when you’re talking about big agencies – they all have specialized units. So you have an auto theft unit, you have a burglary unit, you have an identity theft unit or financial crimes unit, carjacking unit, which falls under robbery – these are all units that are dealing with vehicle crimes. So it’s important that they talk to each other and realize that, at the end of the day, the purpose was to get that vehicle, however the criminals did it. McDonold: Yes. In a perfect world, if you were to start an auto theft unit today, I would want to call it a “vehicle crimes” unit and then look at all these various crimes that have an impact on that, and then set your unit up based on that. That way you get a better picture of what’s going on. You have to think outside the box. 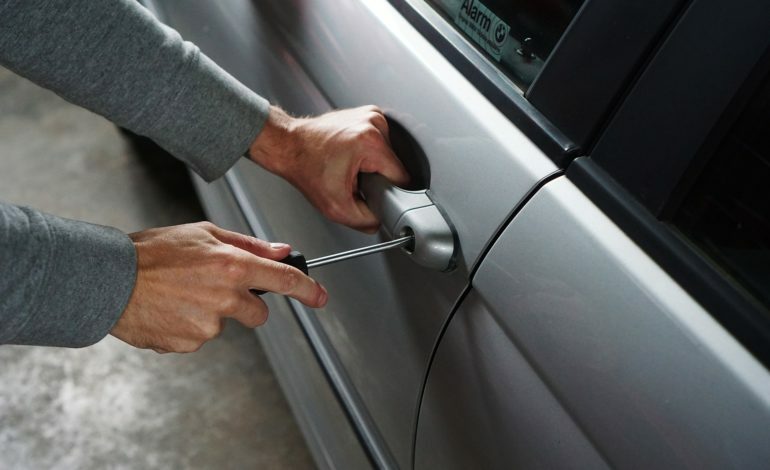 Consider cars that are stolen during burglaries, cars that are stolen during identity theft. Then you get into cargo theft, construction equipment theft and heavy equipment theft. All of these things agencies should be looking at, but they don’t fall under the traditional responsibilities of an auto theft investigator. McDonold: Public awareness campaigns and community policing are key. When you talk about crime prevention, you have to look at how we can take opportunities away. There are three elements of a crime: you need opportunity, a victim and a criminal. If you take away the opportunity, you don’t have that crime anymore. We need to educate the public about locking their cars, taking their keys and hiding their valuables. This can have a big impact. McDonold: The IACP Vehicle Crimes Committee is creating a toolkit for smaller agencies that may not have dedicated auto theft units or vehicle crimes units. As an investigator, you may be doing homicide one day and you may be doing auto theft the next day. So we’re developing training aimed at small agencies. McDonold: Any state that has a Vehicle Theft Prevention Council or an Auto Theft Prevention Authority (ATPA). In Maryland I have 21 grantees and two big task force units, one in the Baltimore area and one in the D.C. area, and they’ve attacked those issues very aggressively, as do all the other states that have ATPAs. You can find them listed on the Combat Auto Theft website. McDonold: Use it as a basis for your presentations when you’re engaging your community groups and talking to them about vehicle crime. The report is set up through IACP so you can download it off the website and make changes to it. We put numbers in that are going on across the U.S., but you can put in your own numbers for your own community to give folks a better idea of what’s going on in your area. Cole Zercoe is the senior associate editor of PoliceOne, responsible for writing and editing news articles, original columns, product articles and trade show coverage. From the latest police technologies and innovations to the emerging threats cops face in the digital age, his features focus on the complexity of policing in the modern world.